As his health club empire approaches its third decade, Bahram Akradi’s latest Life Time endeavor is more about sense than cents, more an homage to his past than a fixation on his future. He wants kids in the United States to enjoy pickup soccer the way he did throughout his childhood in Iran. “In every neighborhood, there were goals, which were sometimes just a few bricks, and a bunch of kids,” says Akradi, who was born in Tehran, Iran. “You pick one (player), and I pick one and when there was 5-on-5 you play. At least until he was 17… when he emigrated to the United States. He struggled to find consistent and convenient opportunities to play the game he loves in the U.S. — and Akradi believes that widespread challenge is limiting this country’s soccer standing worldwide. 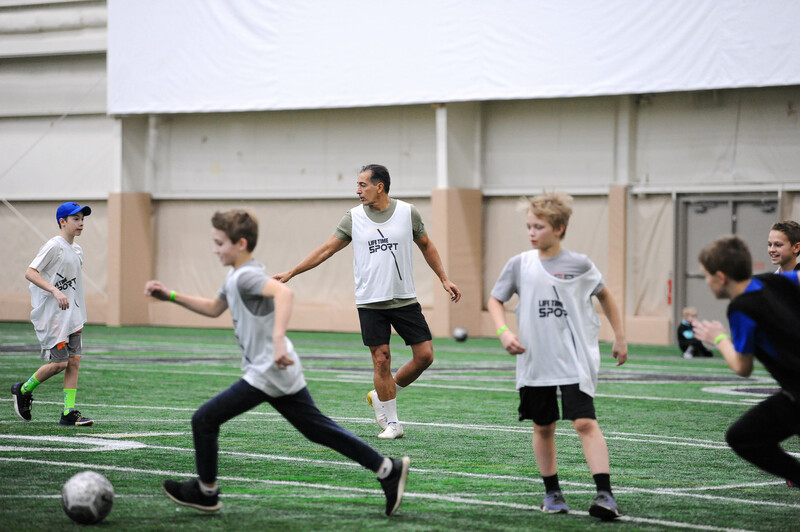 In sweat-soaked soccer gear, Akradi takes a break from playing and scans what had long been the indoor practice facility of the Minnesota Vikings and has been transformed into six, small-sided soccer fields. Because it’s December in Minnesota, there’s snow and ice outside, yet each of the fields are teeming with players ranging in age from 6 to a man in his 60s. This realization for Akradi is not only professional but also personal, though a few clear-cut facts remain: The Life Time Sport facility, while it is unique in the U.S., is not free to use like many are in other countries. Meanwhile, about 4,500 miles away in Barcelona, Spain, New England native Todd Beane shares his son’s daily routine at school. Early in his professional career, Beane connected with legendary soccer player, manager and executive Johan Cruyff and helped create Cruyff Football, which is widely credited with revolutionizing youth development for local and national programs throughout Europe, Africa, South American and Asia. He has now founded TOVO Institute, which trains coaches and players from all over the world. He reflects on his childhood growing up north of Boston and in New Hampshire, when he and his friends played kick the can, hockey or an assortment of sports, including soccer. As a little boy in Germany, Jurgen Klinsmann didn’t concern himself with scholarships and fees to play for clubs. Akradi’s experience in Iran was similar. But to highlight the inherent differences, he points to his son’s usual schedule in hockey. And there’s a physical challenge unique to soccer: You rely on your feet, which you don’t challenge as frequently and differently as your hands. Brandon Busbee recalls testing Life Time Sport’s pickup concept with a suburban club team’s 13-year-old girls. Busbee didn’t rule one way or another. “You got it,” he told them, suggesting they could sort it out. 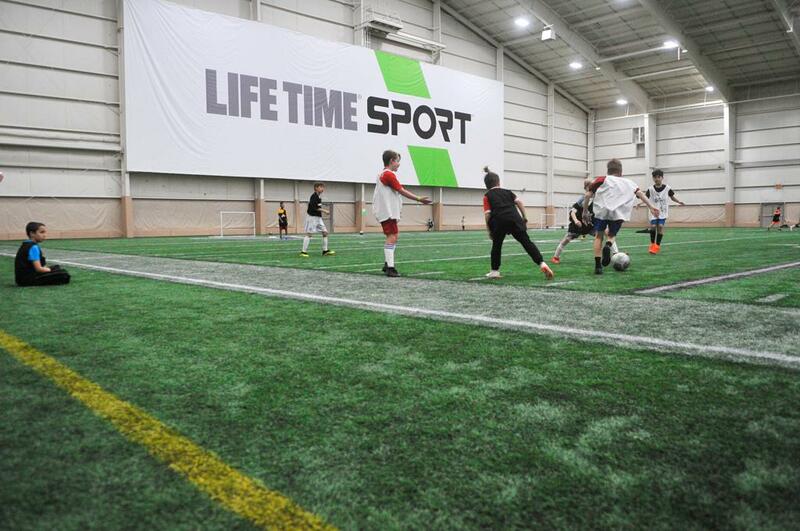 The general manager at Life Time Sport, Busbee oversees a sparkling soccer facility with world-class indoor turf and outdoor grass fields. Beane’s Spanish neighborhood also has modest spaces for the children to play pickup soccer. Beane suggests that people in the U.S. may “overthink that process.” Adults obsess about where the kids play, who will train them. Interestingly, one of the top American players ever can relate to Klinsmann and Akradi’s childhoods. Clint Dempsey and his brother Ryan grew up in a trailer park in Nacogdoches, Texas, and they didn’t have access to organized soccer. But they played pickup games with other kids in the neighborhood and studied videos of legends such as Diego Maradona, according to a 2010 Boston Globe story. Irv Smalls is the executive director of FC Harlem New York, a soccer program committed to youth of color ages 10 to 19. Smalls remembers being amazed when he toured London with leaders from Chelsea Football Club, one of the top clubs in England’s Premier League. There were no barriers to children playing soccer. Coaches didn’t obsess about training, instead focusing on fostering a love and passion for the game. Space is obviously limited where Smalls’ players are in New York, but they open up the time and space for them to play unstructured. Busbee grew up in Cedar Rapids, Iowa, where he fondly recalls his youth soccer experience. 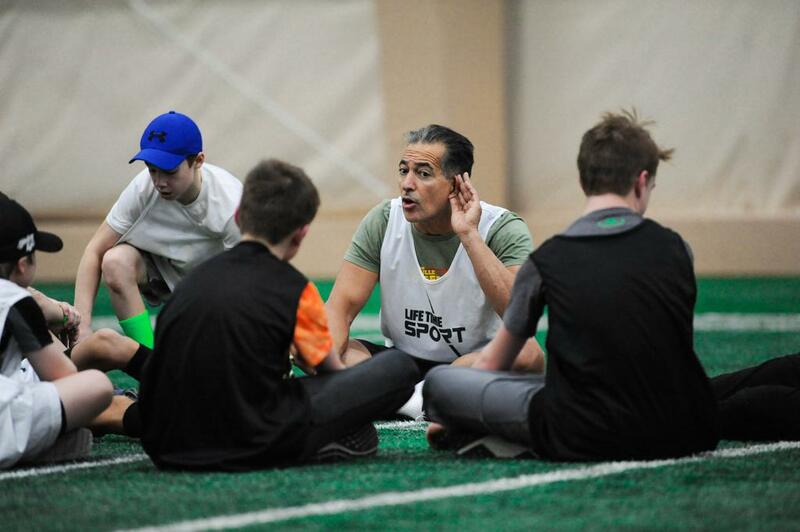 But as he’s coached and managed at various levels and in different capacities of the sport, he believes kids need more chances to play without adult influence. In Iran, Akradi says every neighborhood had one or two unofficial leaders. It wasn’t just about showing up. The kids had to make an investment to make the games happen. 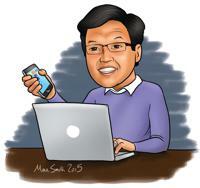 Akradi sees elements of those challenges in the younger workers who he meets with and employs. Disputable calls and team selections can be among the reasons pickup games break down or devolve. So strong leaders who can proactively and reactively address issues can maintain order. Busbee says empowering young people to self-organize — picking teams, communicating what’s in bounds and out of bounds, when a game ends — has benefits that extend beyond the fields.